30% T/T /Western Union as deposit, the balance before shippment. about 10-25 days after the receipt of deposit. 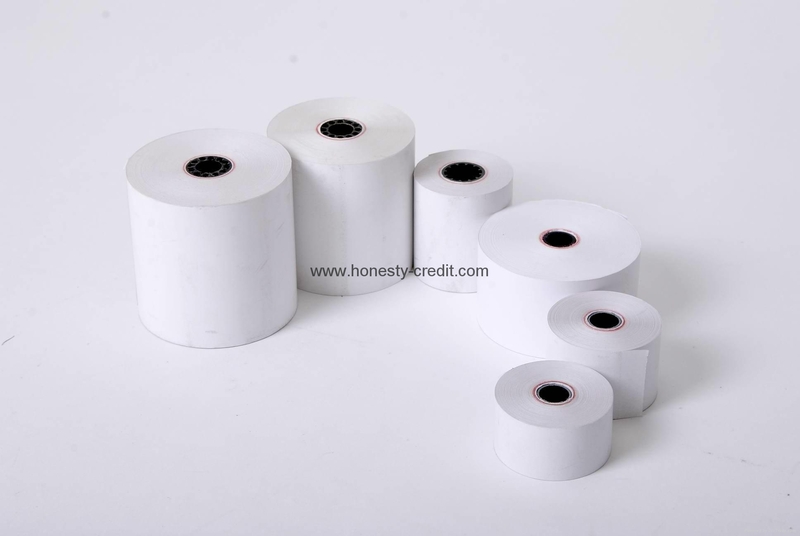 We are specialized in coating of thermal paper, carbonless paper, computer printing papr ,FAX paper converting of cash printer rolls ,printing on not only paper products but also PE, BOPP labels for diversified usages. Our expanded product line now includes above-listed paper in both jumbo and finished sizes, plain and preprinted with up to 8 colors. These products are commonly seen in supermarkets, chain stores, restaurants, hospitals, logistic companies, gas stations, etc.Any further infos please feel free to contact us.